“Don’t hold your breath!” It’s something we’ve all heard before while working out…and for good reason. “When you hold you breath, the energy in your cells plunges and you feel fatigued during your workout way before you should,” says Belisa Vranich, Psy.D., creator of the OXYGEN breathing class at WILLSPACE in NYC. But that doesn’t mean your regular ol’ breathing pattern will do. You actually need to think about and control your breath during your workout for peak performance. And when it comes to breathing, one method does not fit all workouts. “Inhale on the less strenuous phase of the exercise, and exhale on the more demanding phase of the exercise,” says personal trainer Mike Donavanik, C.S.C.S. 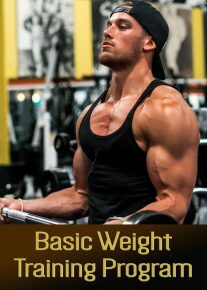 If you’re hitting heavy weights, though, Donavanik recommends the Valsalva maneuver: You inhale on the easy part, hold you breath for just a short second as you approach the hardest part of the exercise (commonly called the “sticking point”), and once you’ve completed it, you exhale per usual. The maneuver helps you tighten your core muscles and maintain proper form. However, it does briefly increase blood pressure. So if you have any cardiovascular problems, the move isn’t for you. “Continuous breathing will help you to increase nitric oxide, an important gas that relaxes the arteries and keeps the blood flow that you need to sustain your rhythmic activity,” says exercise physiologist Marta Montenegro, C.S.C.S. Instead of breathing in an even pattern, though, try inhaling for three seconds and then exhaling for two, suggests Budd Coates, M.S., author of Running on Air: The Revolutionary Way to Run Better by Breathing Smarter. While it takes some serious concentration at first, research shows that the greatest running impact occurs when your foot strike coincides with the beginning of your exhale. So by keeping a 3:2 breath tempo, you’ll minimize your chance of injury. Stretching is all about loosening up—so focus on inhaling deeply. It relaxes your muscles so you can get a better stretch and lower your risk of pulling anything, says Montenegro. The exhale will follow naturally. Ever finished a set of squats, thought “that wasn’t so bad,” and then started huffing and puffing? That’s because your body needs oxygen to replete its energy stores. So in between sets of exercises, practice diaphragmatic breathing, says Donavanik. Diaphragmatic breathing allows you to get more oxygen into your lungs—and to your muscles—per breath so you can hit your next exercise hard. To do it, focus on filling and emptying your abdomen with each breath rather than raising and lowering your chest.